Live streaming or broadcasting has become the most powerful way to connect with the audience. As the technology has improved with new updates, the live streaming was developed to explore furthermore with the drone technology. 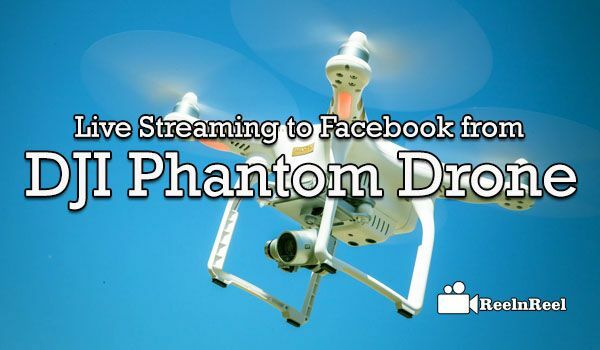 The guide to live streaming to a Facebook from DJI Phantom Drone is described here. Social media platforms are already enhanced their features for the live streaming connectivity within the platforms. People were already got involved in various types of applications like Periscope etc for live video streaming and broadcasting. Even marketers are catching up with the live video marketing and advertising and exploring their possibilities to reach the audience. As a tech savvy’s, we all know the effectiveness of drones in filming the video. Drones are very different as they can boost up viewing experience to the next level. When comes to the DJI Phantom drones, it can shoot the video at all angles which designed for the next generation. DJI Phantom 4 drones are made up of a magnesium skeleton which gave complete stiffness which improves the balance. It has many flight modes which are simple and intelligent in the navigation which can enhance the smooth movements. DJI Phantom 4 drones can fly for 28 minutes and can increase the flight time with a 720p HD quality view. Live streaming via DJI Phantom 4 drones now added an option to live to broadcast on Facebook platform. Previously there is an option for YouTube platform broadcasting only but now it was improved and added live broadcasting for Facebook platform too. At present, DJI drones are available for the iOS platforms for iPad and iPhone users. Go to app store and look at bottom right and update the DJI Update. Facebook live support added to the DJI GO application. Users can explore the tutorial. After updating the application, connect your iPhone or iPad to the phantoms Wi-Fi connection. Select the options to choose the broadcast location whether on to the personal page or fan page. Just tap on to left side button after the count of three you are just launched on to the live.